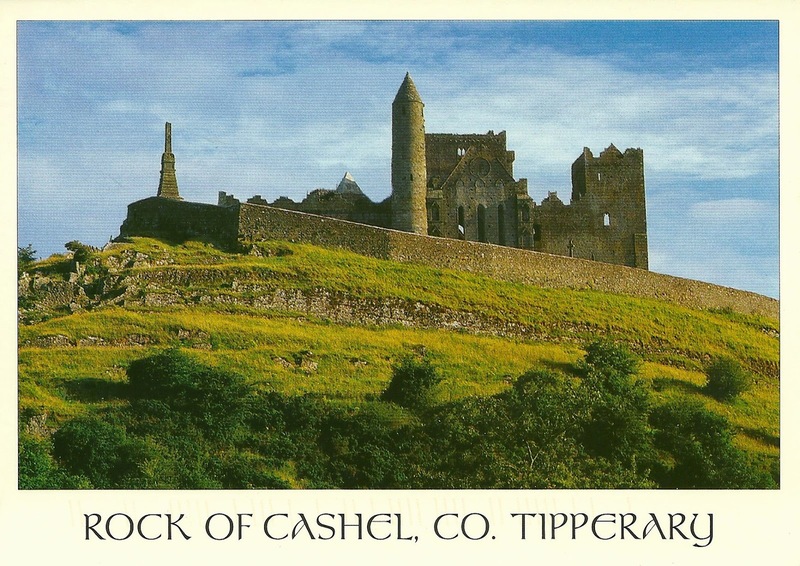 Europe-Ireland-Rock of Cashel Dating from 1100 this was the original seat of the Kings of Muster . ( This area) . It is most famous for the Round Tower . Also on site is the remains of the Cathedral and chapel. The other part of the round stamp issue. Europe-Ireland-Aran Islands These are very famous Islands on the west coast of Ireland. I had previously visited the most remote Island in the world ( Bouvet) and inhabited ( Tristan de Cunha) . I was quite embarrassed when asked about what was the Aran Islands like to visit. So I made sure I did. I have to say it is a wonderful place. Reminds me of old Ireland if I can put it that way. I was quite surprised to find many non Irish working here and they were speaking Irish language. 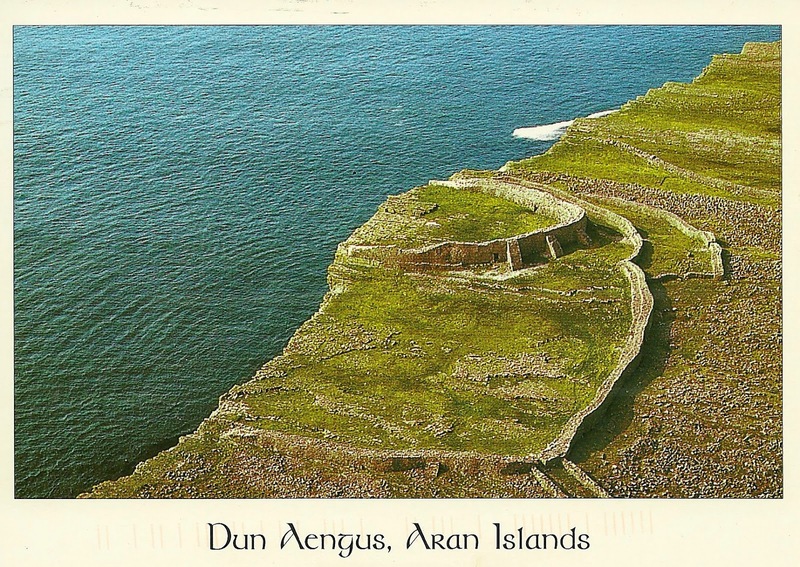 Here is Dun Aengus a fort on the coast of the Island. The Postmaster agreed to cancel this postcard for me prior to going into the outgoing mail bag. It ended up getting another laser printed cancel . Europe-Ireland-Clonmacnoise This is one of Ireland's most important monastic sites and is situated on the banks of the river Shannon. 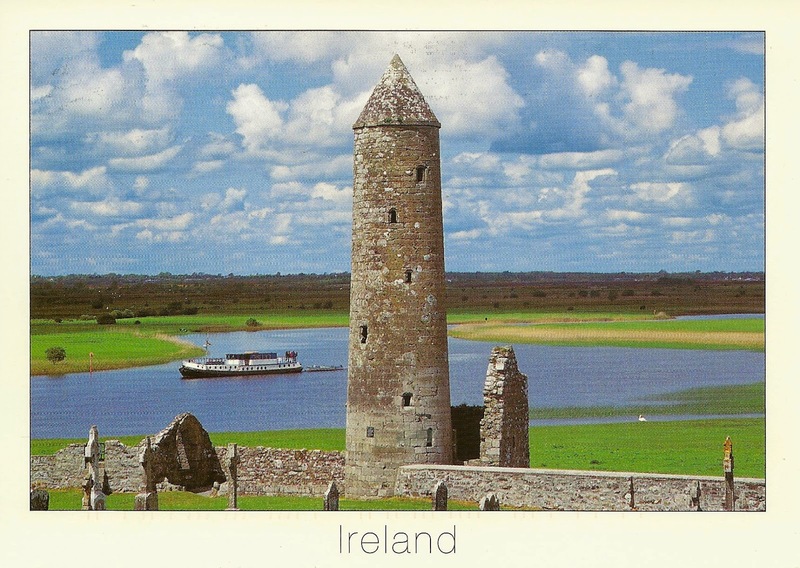 Founded in 545A and is famous for its Round Towers. Posted nearby with a double cancellation. 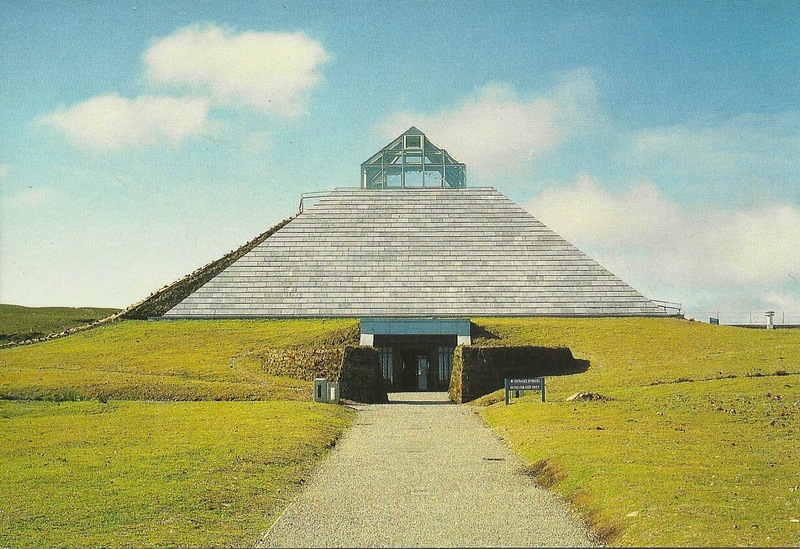 Europe-Ireland-Ceide Fields Beneath the wild boglands of North Mayo lies the Céide Fields, the most extensive Stone Age monument in the world, consisting of field systems, dwelling areas and megalithic tombs. The stone walled fields, extending over thousands of acres are almost 6,000 years old, the oldest known in the world. They are covered by a natural blanket bog with its own unique vegetation and wildlife. The Visitor Centre has won several awards, including the Gold Medal for architecture. Possibly the first circular stamp that Ireland issued. 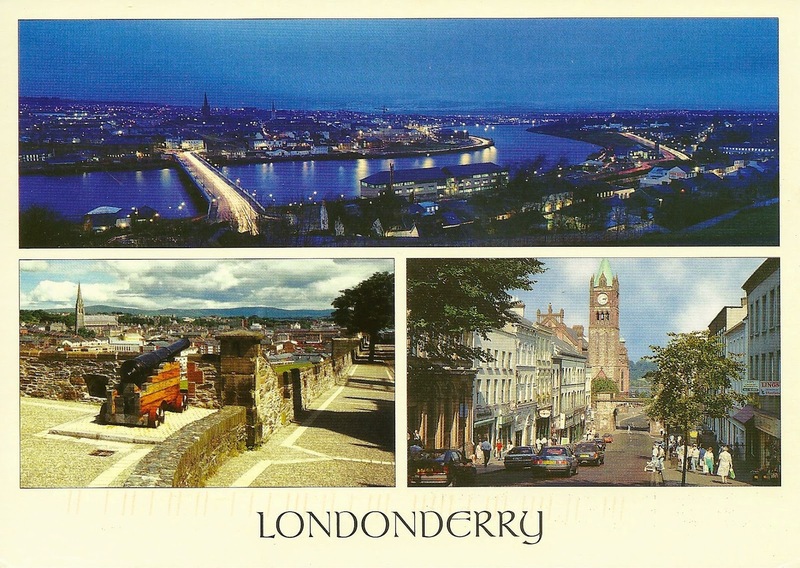 Europe-Northern Ireland-Londonderry Londonderry has two names. In Republic of Ireland more likely to be called just Derry. It is a famous city and especially known for its 17th century walls around the old city. A little unusual to get a handstamp on a postcard. So very pleased with that. Europe-Northern Ireland-Tyrone A very typical picture of the countryside . It is the largest county in Northern Ireland has not access to the sea. But it is known for its mountains and gentle hills. 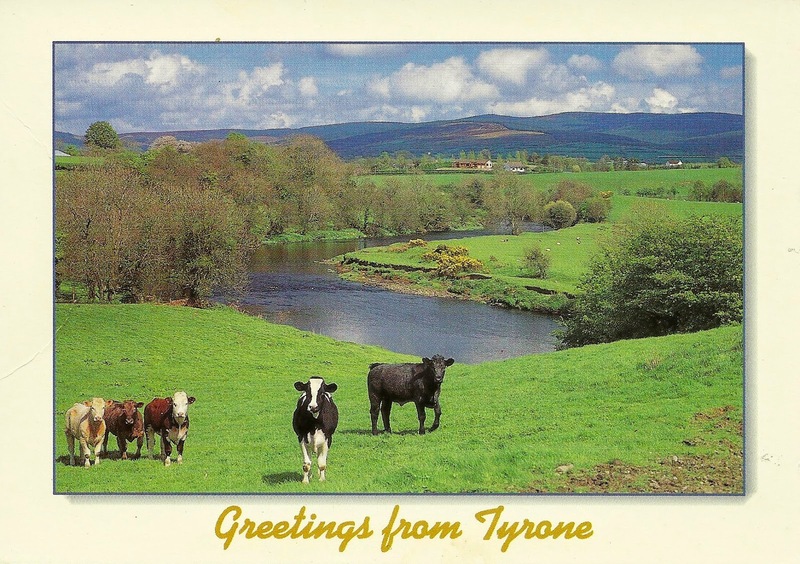 This card was posted in Omagh , the main county town in Tyrone. Middle East-Iran-Tehran This is the Azadi Tower. A landmark in Tehran. During my other two visits, I had never managed to stop and see it properly. I had passed it to and from the old international Airport in Tehran. This time I was determined that I would stop and see it . 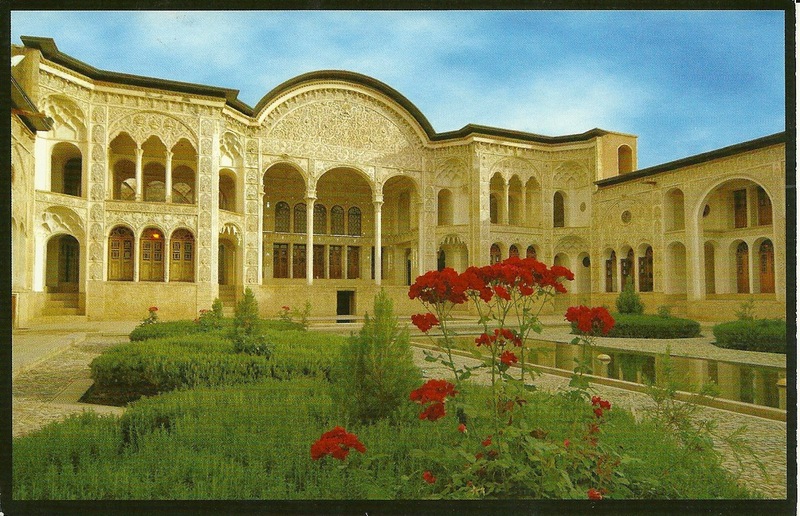 During my trip to Tehran, I also visited the previous Shah Palaces, the Gold Museum and the old American Embassy. This is possible with prior arrangement . Not many people knew where the central Post office was. It had changed since my last visit. In fact when I got there in the end, I have to say it was very boring. No special counters to visit and no selection of stamps. I wished I had visited the old Post office as this is now a stamp museum and also has a Philatelic counter. As you can see this large stamp which was part of a Miniature sheet takes up a lot of the back of the postcard. Middle East-Iraq-Baghdad I have to say that a few years ago, if someone had told me I would visit Baghdad I would have told them they were mad. However over the years I have got very determined to visit Iraq and if possible with safety Baghdad. I in fact spend 10 days in Iraq. I was surprised how religious it was , even more so then Iran. So seen a lot in that time and on a few occasions met the locals and talked to them about how life was in Iraq. Had the services of the Iraqi Tourism board, who usually only deal with religious tourism. Still interesting to see a country in the way it is and not the way you wished it was , if you know what I mean. 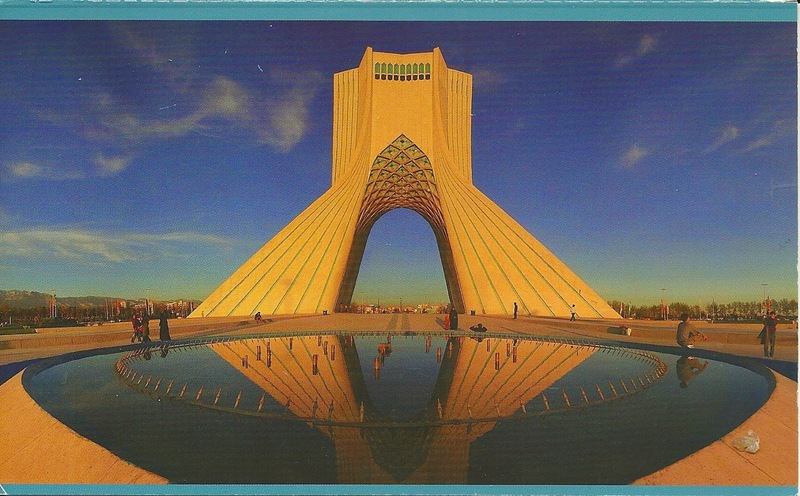 This postcard is from the 1970s . It was not possible to find interesting Postcards from now. Still a piece of nostalgia. 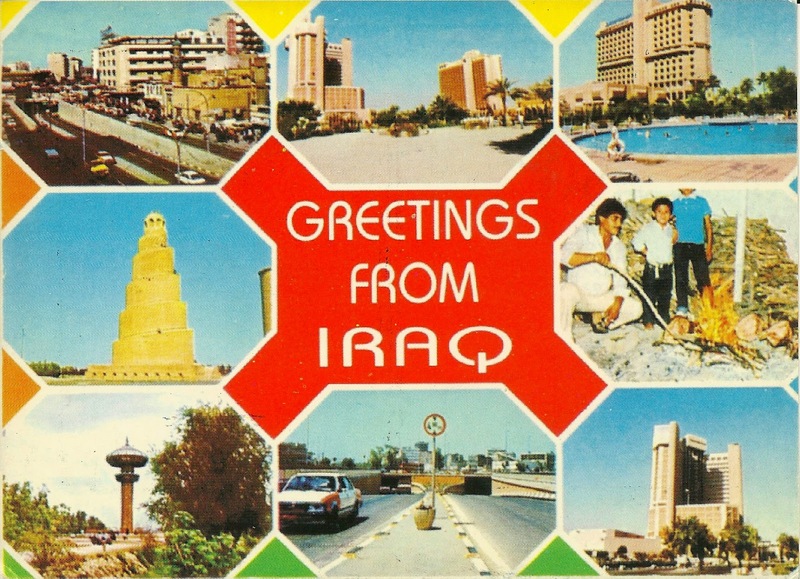 This card was sent from the Main Post office in Baghdad during a blackout. So it was difficult writing the card. I had prewritten other cards that I had requests for and sent those. But as I could not stay in the Post office too long I had to leave due to security reasons. Interesting the Post office is opposite the Iraqi National Museum. During my stay in Iraq I sent cards from two other Post offices. However none of them arrived at their final destination. I was disappointed but not surprised. Getting access to Post Offices was far from easy . The tourist officers did not want me to go as it was not a priority for them. It was not possible to walk anywhere without security . On one of the Post offices I was not let in and left the Post cards with the Police. I guess one postcard is better then none ! Middle East-Iran-Esfahan This is the Sheikh Lotfollah Mosque. 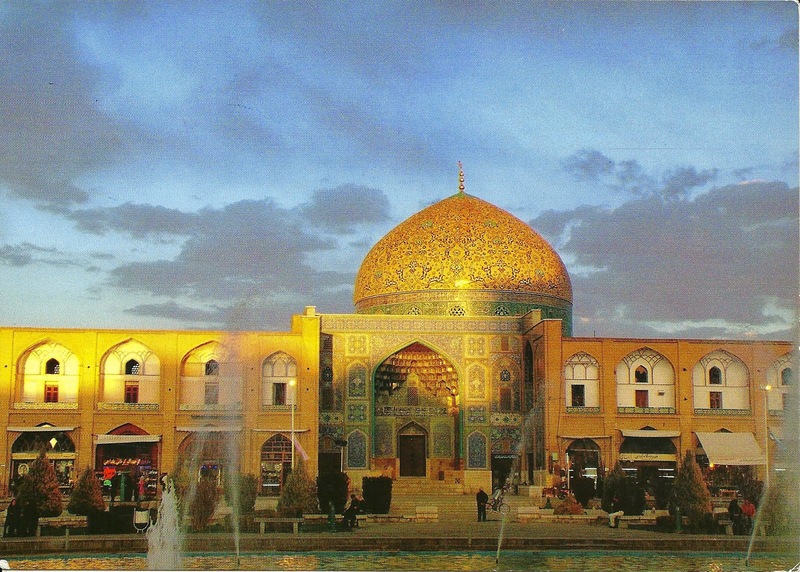 It is in the main square in Esfahan. My favourite area in Esfahan. Again this card was posted at the very helpful philatelic counter at the main Post Office in Esfahan. So no need for the alphabet stamps that I have used on most cards. Middle East-Iran-Kashan This is the Tabalai residence. A beautiful building with detailed designs on face of the buildings. It is one of those places you have to visit to appreciate the work. This card was posted in Tehran rather then Kashan. 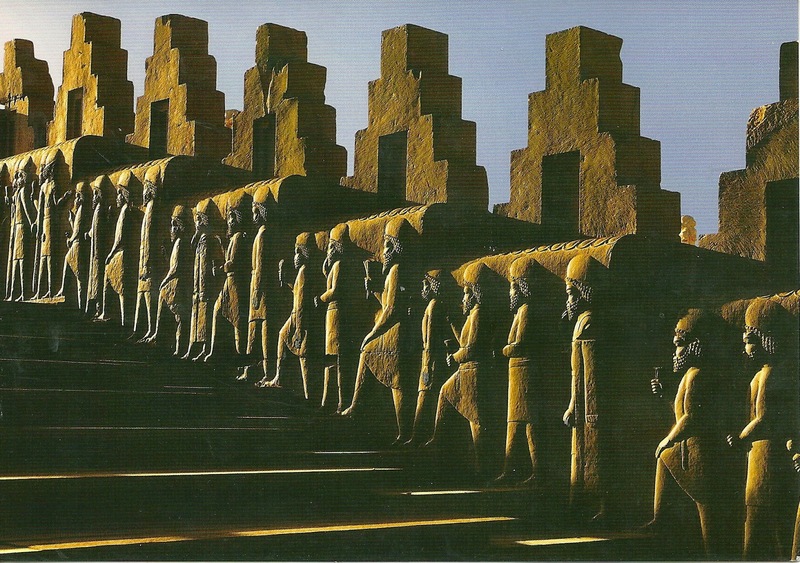 Middle East-Iran-Persepolis This is the staircase of the Tripylon Palace in Persepolis. The whole place is fantastic . It was just incredible to see the detail on this staircase. A great World Heritage Site. I was delighted and surprised to find a Post Office on this sight. I guess it is a big tourist attraction. 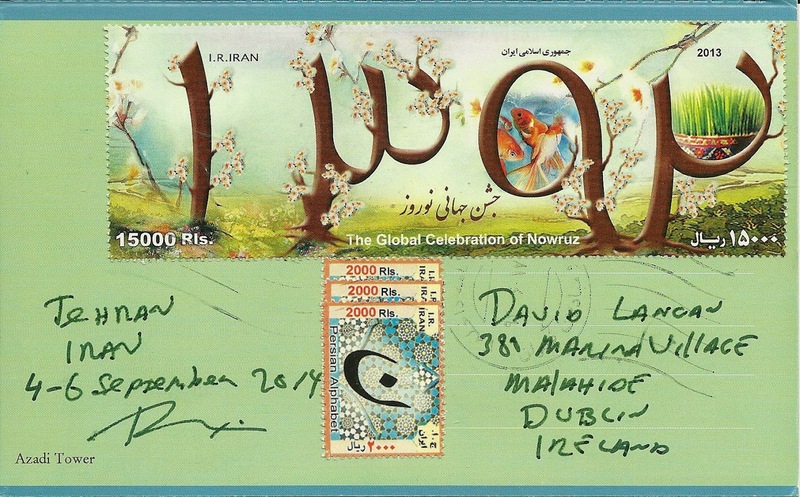 As usual in most of Iran the PO official would only allow me to use the alphabet Definitive stamps on the card. The other stamps I had purchased elsewhere , " Are for collectors only". So I had to put more postage then needed and I put this attractive miniature sheet on the card as well. 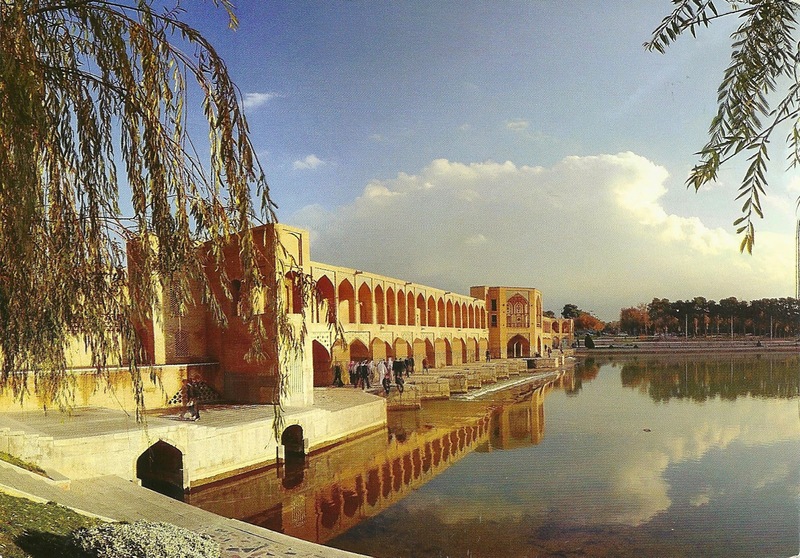 Middle East-Iran-Esfahan I think my favourite city in Iran. Really enjoyed it here. This is Khaju Bridge . Unfortunately the water is dried up now, so no water to be seen . A great shame . This Post office had a Philatelic office. It looks like one of those offices that have staff, but nothing happens. So it was with great joy that they found me at the counter. Initially at the Post office counter , they would only sell me meter marks and not stamps. It took a few minutes for me to explain I wanted "real Stamps ". However it really got sorted when I found this Philatelic office. They were so pleased and how impressed I was with the display that they offered me all the stamps I wanted Free !!! However, this is Iranian friendly custom and is not to be taken literally. So I paid for my stamps and here you can see some of the new stamps I purchased. 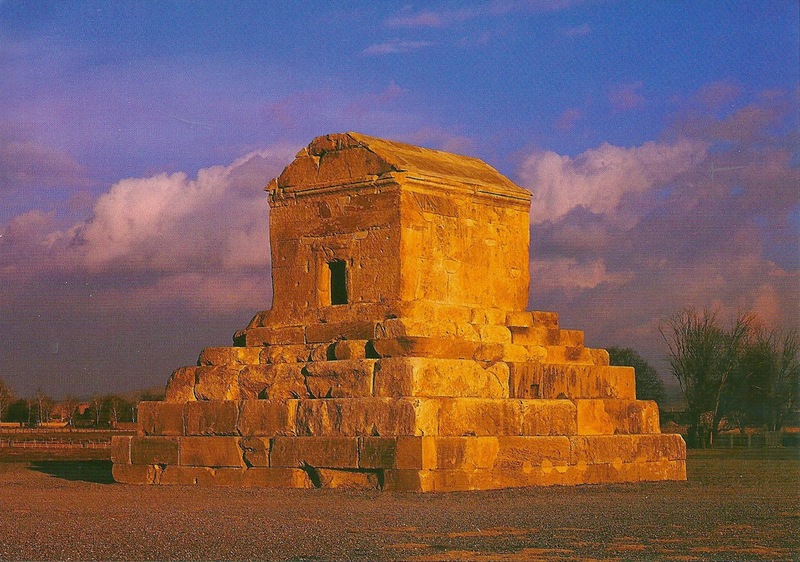 Middle East-Iran-Pasargadae This is the Tomb of Cyrus the Great. It is not spectacular , but a interesting area to walk around and get a feel for the city that was once here. A World Heritage Site. This card was posted in Shiraz as there is no Post office in this area. Middle East-Iran-Shiraz One of my favourite cities and indeed places to visit in Iran. This is the Eram Garden. 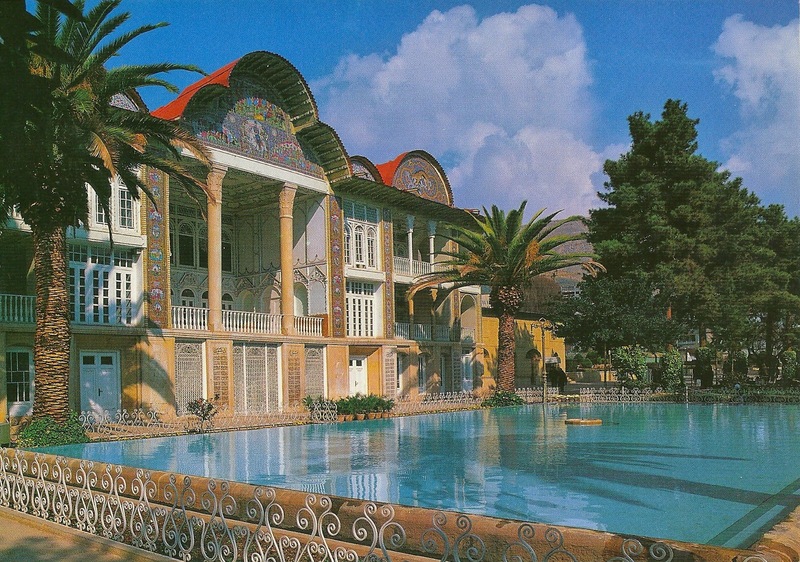 Previous a home of the last Shah of Iran. Beautiful to walk around and enjoy. Featuring a large stamp showing a stamp collector.